No monthly maintenance fees, No Social Security or ITIN numbers needed. No identification is needed up to $500.00, No Credit Check, No Overdraft fees, No balance requirements. No Compromises! Why pay $7.95 - $9.95 a month just in monthly maintenance fees? Why pay high transaction fees? No Social Security or ITIN numbers needed. 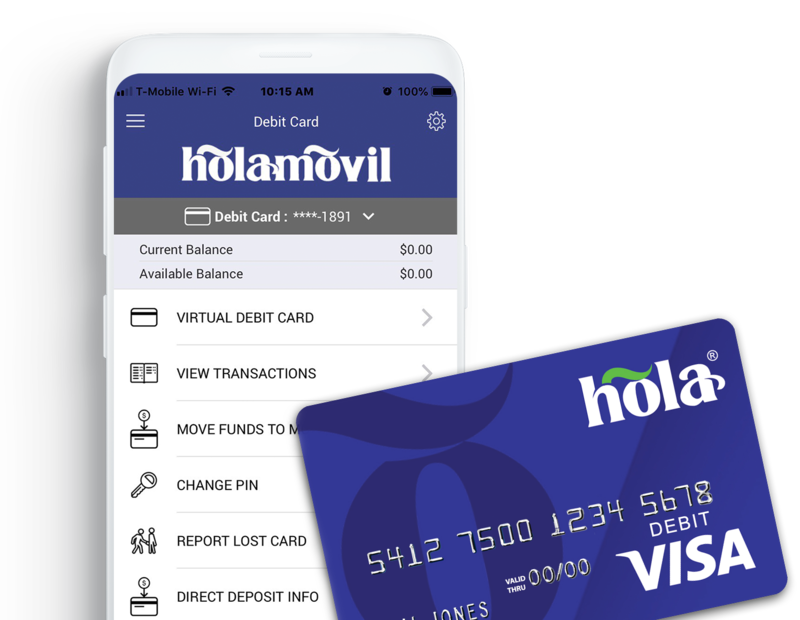 Save thousands with Hola wallet app, debit cards and Hola deals. Use wherever the popular Visa card is accepted. Request up to five companion Hola cards. Give them to your loved ones and easily transfer funds directly to the cards, across town or across the globe, all for free! No identification is needed up to $500.00. 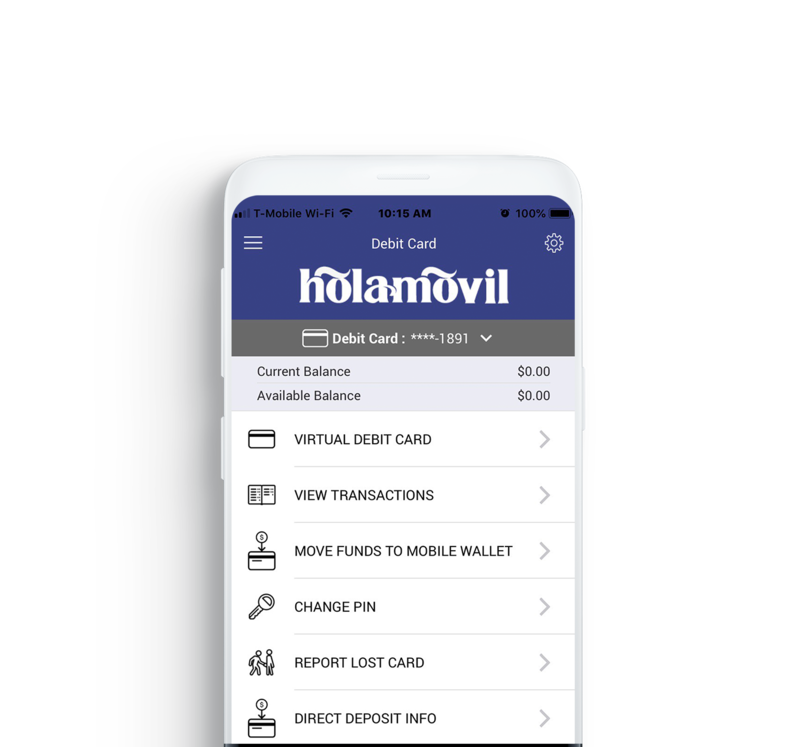 With our simple, no fee, Hola Wallet app, you can easily transfer funds or request funds from other Hola Cards or wallet holders, pay bills and schedule routine payments, receive direct deposit from your employer and much more! All very convenient, fast and free! 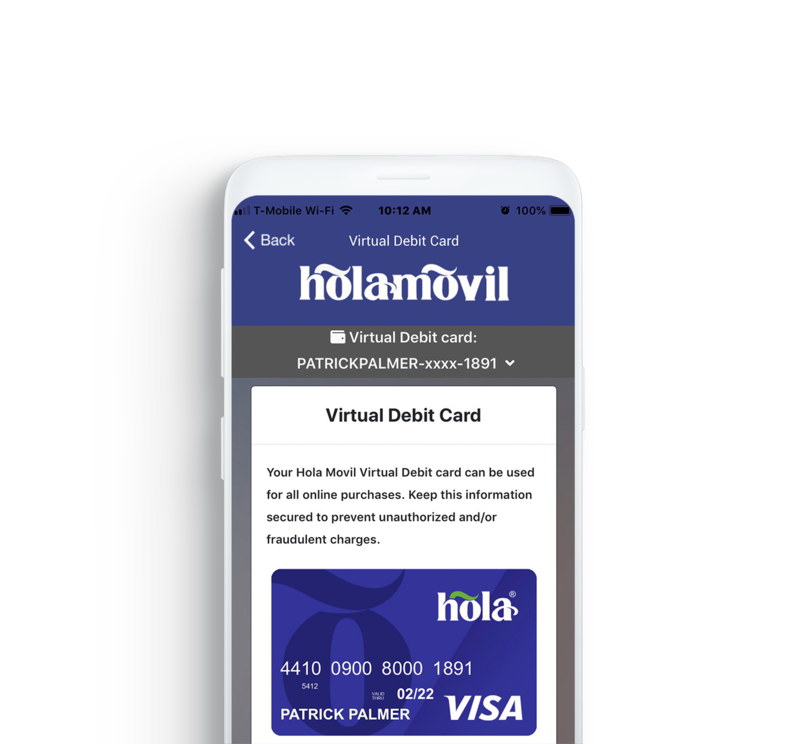 Receive your free virtual Visa card in a matter of minutes. as with our plastic card, there is never a monthly maintenance fee, a credit check, overdraft fee or balance minimum! Use as a much safer alternative for online purchases. 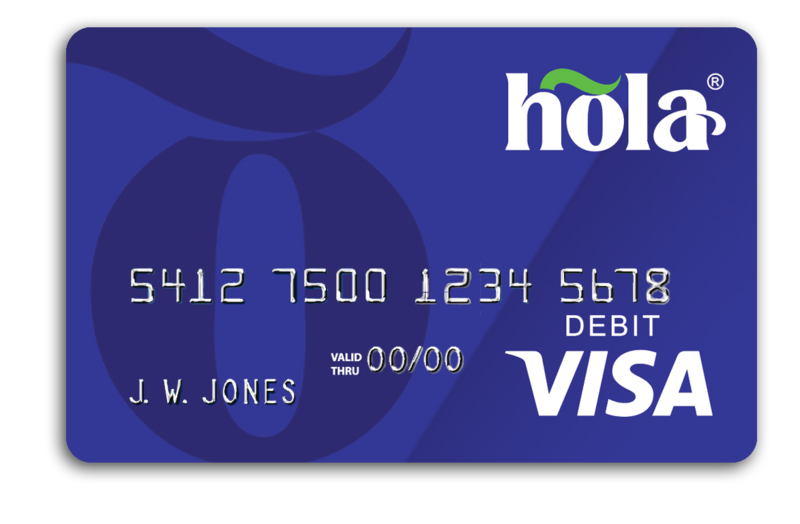 Free for all Hola card holders! Save up to 50% off at 320,000 merchants each day just by showing your phone. 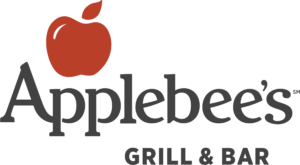 We serve 100% of the top U.S. markets, over 10,000 cities and towns. Just search, show and save! Refer your friends and save thousands! 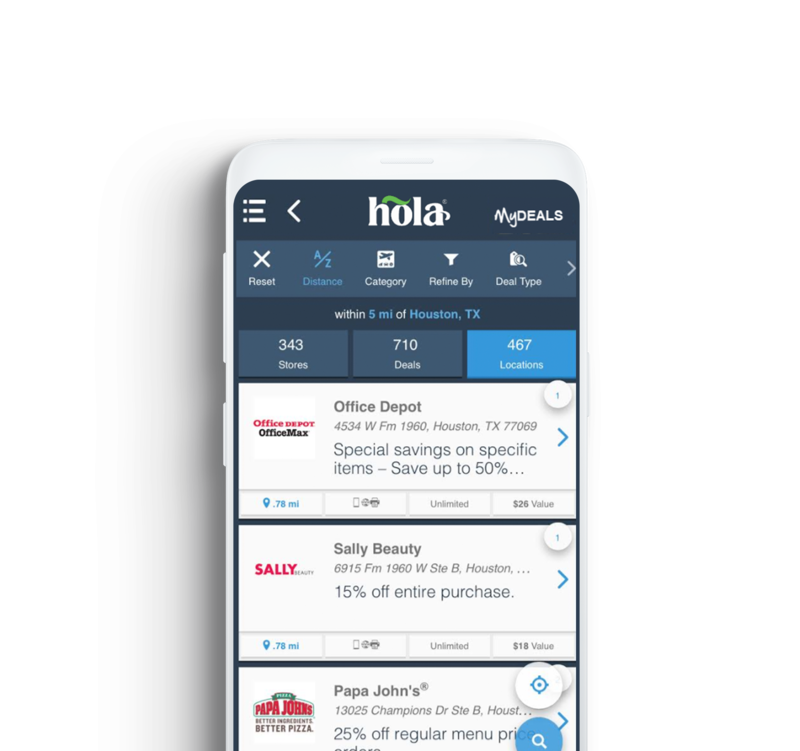 Get the Hola deals app for free! It's super easy and your friends will thank you! 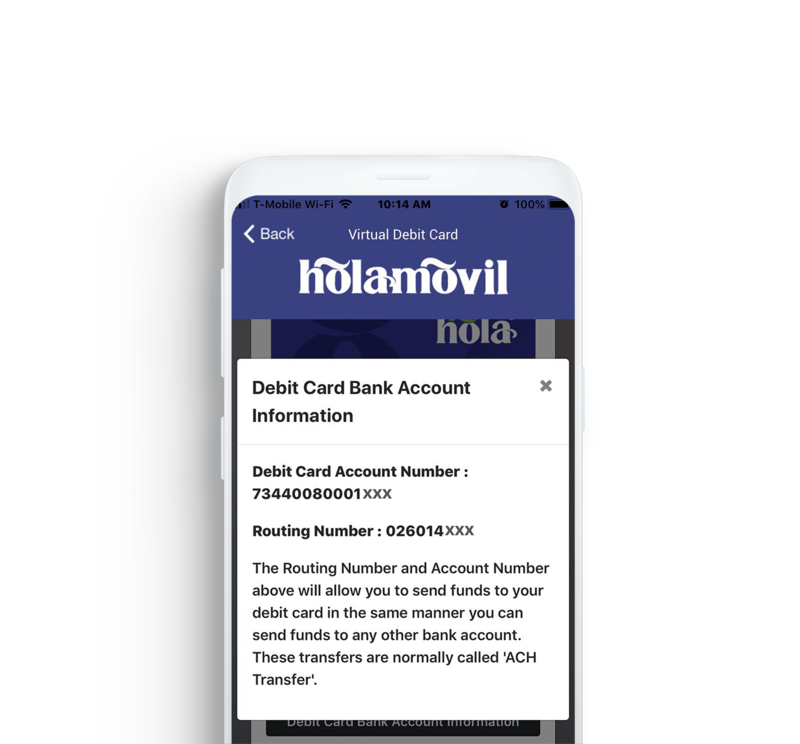 Hola Movil does more for their subscribers than any other provider. For some of America's cheapest mobile rates on America's strongest network. Free direct dial long distance and text to Mexico included in every plan and much more. Unlimited talk and text plans starting at $19.00 and much more!